My full name is Christine L. Villa, an award-winning self-published author of children’s books who wishes to organize book reading events for the less fortunate kids in Manila, Philippines. 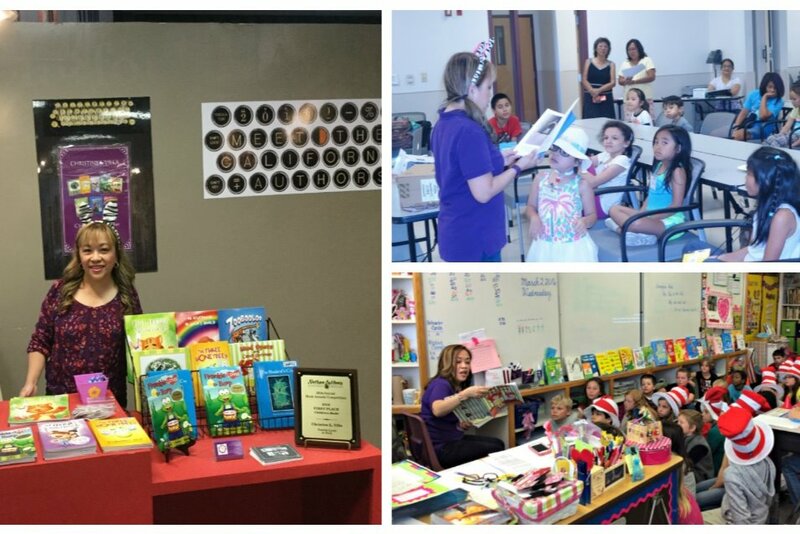 In my book reading events, I plan to provide books, school supplies, creative activities, and lunch packages to the children for FREE so whatever financial help you can give will be greatly appreciated. So far, I'm collaborating with U!Happy Events. My first book reading event will be held at the Nicanor C. Garcia Sr. Elementary School in Makati on February 8 at 10 am. The more support I get, the more children are going to be blessed and educated. It has always been my dream to visit my home country and to help the needy. For a long time, I didn’t know how, but through prayers I had found the answer. Donate MY books! I know you are wondering why I am donating my books and not another author's book(s). I am sharing mine because God gave me the gift of writing for a purpose. All of my books were written at a time when I was struggling with depression and severe physical pain. Rather than leaving me alone to sink deeper into a quagmire, God pulled me up with life-altering inspirations. He ignited my imagination and fuelled my desire to reach for a dream-- the dream to write books and bring smiles to young children. Finally, I found something that I am passionate about! Since my early 50s, I've continued writing and have been led into self-publishing. I've sold a significant number of books, but does it end there? There must be a higher purpose than just selling my books. How can I reach more children? So here I am seeking your help. I wish to donate my time and my books to the needy in the Philippines. I’m hoping that by donating my children’s books, I’ll be able to start a platform that will open more doors for me to help educate kids and to bring smiles to their faces. Please share this on any of your social media accounts. God bless you all!